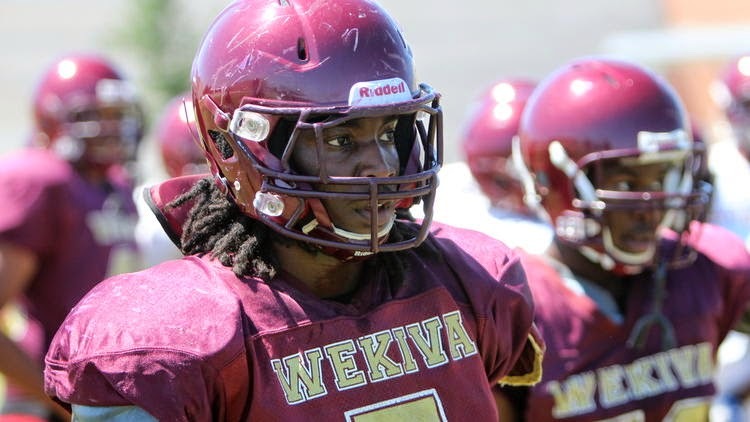 Several media sources report Teddy Atkins, a 6-2 200 pound OLB from Apopka, FL has verbaled to UMass. Dan Malone has a story here. Charles Doss of Hustle Belt also has a report here. The Orlando Sentinel has a story about Atkins verbal to the Minutemen. Atkins is not rated by any recruiting service I could find. Blake Frohnapfel was MAC Offensive Player-of-the-Week for his performance against Bowling Green. MAC press release here. UMass website story here. Have we had a league offensive or defensive player-of-the-week since we joined the MAC? I can't remember any. Dan Malone on Frohnapfel's selection. Frohnapfel has already thrown two more TD's than in 2013's 12 games. He's up 37.6 points in passing EFF and he's throwing for 138.5 more yards per game. Frohnapfel leads the MAC in passing yards/game and total offense. Coach Whipple's quotes from the league's weekly teleconference. Dan on Tajae Sharpe's breakout season. He also has UMass opens as a three-point underdog to winless Miami (Ohio). Matty Vautour says Trey Dudley-Giles has returned to practice. He also notes that Shane Huber will likely redshirt this year. MassLive has video from Tajae Sharpe and Blake Frohnapfel after the Bowling Green game. Jesse Allen of Hustle Belt looks at the Minutemen's defense in relation to the rest of the MAC. The Miami Redhawks have their game notes for UMass up. Miami (Ohio)'s coach Chuck Martin laments another close loss. The Miami student newspaper looks at the Redhawks 21st straight loss. ESPN has the teams eliminated and still in contention for the college football playoffs. UMass Gridiron Club. Join It! The UMass website has video highlights and interviews from the Ball State game. Matty Vautour has notes from the Minutemen-Falcon game. More on the video board crash. Matty has UMass fans helped celebrate the Minuteman's return to McGuirk. Blake Frohnapfel is 7th in all of FBS in passing yards. He's 20th in passing yards per game. Blake is 18th in yards per completion. Tajae Sharpe is 8th in FBS receiving yards. Tajae is 15th in receiving yards per game. UMass is 27th in all of FBS in fewest penalties. The Collegian asks if UMass students are football fans. The Collegian says the students did tailgate. Miami (Ohio) was leading Buffalo in the fourth quarter, but lost. The Redhawks have a GS QB from Notre Dame. Their starting TE Alex Welsh is also a Notre Dame transfer. The Cleveland Plain Dealer says contenders emerge in MAC division races. The Wall Street Journal asks if blowouts are increasing in college football. Click on images and Blogger displays a larger view. Well, we didn't win, but you didn't like yesterday's game, you don't like college football. The game sold out and there were a lot more than 17,000 people around the stadium. The lead changed hands seven times. BTW, only one person out of 75 votes got the poll correct with the Falcons by less than seven. UMass had 29 first downs and 638 yards of total offense. Blake Frohnapfel shattered a number of UMass records. He went 36-61-1 589 5 TD's 80 LONG. That broke Kyle Havens 450 yards vs New Hampshire in 2010. It tied the record for 5 passing TD's held by Liam Coen (twice) Matt Guice, Richard Lucero, Todd Bankhead and Mike Fallon. It was second in most pass attempts (63 Matt Guice NH 2001). It broke the record for pass completions (33 Jeff Krohn Northeastern 2002). It tied for 5th in longest passing play (80 Liam Coen to Matt Silver Bryant 2008, Tim Day to Jason Peebler Delaware State 2004). He broke the total offense in a single game record (Kyle Havens 434 NH 2010). Tajae Sharpe tied the UMass single game reception record of 13 held by three other players (Victor Cruz JMU 2008, J.J. Moore Colgate 2005, Brandon London Hofstra 2005). We made some errors. We dropped a couple of INT's (one a sure TD). We turned the ball over. We missed a lot of tackles, including one that ended up a Bowling Green TD. The crowd was great, and so was the atmosphere. Even the UMMB upped its game. The halftime show was the best of the season. The UMass website has notes, quotes and stats here. Matty Vautour reports UMass losses a shootout to Bowling Green. Dan Malone comments on the 17,000 sellout. Nick O'Malley has a post about Blake Frohnapfel's historic day. Nick also reports the UMass defense was gashed for equally historic numbers. The video board collapse in the third quarter was impressive. Debris (hydraulic fluid? )flew higher than the stadium walls. Dan Malone says the Minutemen rushing game continued to struggle. And one media pundit has to find fault with UMass football over something. Man, some people are professional jerks. The Daily Collegian said missed opportunities overshadowed an impressive day for the Minutemen. Randy Carpenter of Hustle Belt says the Falcons hung on. All the MAC conference results here. Boston College lost to Colorado State. That puts a big crimp in the Eagles season. Colorado lost in two overtimes to Cal. Kentucky broke a long SEC losing streak against Vanderbilt. And Penn State, who played nearly perfect against the Minutemen, self-destructed against Northwestern. Having finished the what was probably the toughest OOC schedule in FBS, the Minutemen now open with the MAC League champion Bowling Green Falcons. Bowling Green has an offense that could compare with just about anyone in FBS. They are 34th in the nation in passing offense going 111-176 1152 5 TD's 288.2 Yards/game. The Falcons are #120 out of 125 teams in scoring defense (UMass is #110). UMass's best defense could be a clock-controlling offense. A few turnovers would help too. Hope to see everyone at McGuirk! Go UMass! Dan Malone says playing at McGuirk is a new an exciting prospect for most UMass players. Dan also has the Minutemen open against the defending MAC conference champions. UMass AD John McCutcheon and Chancellor Kumble Subbasswamy discuss FBS football and the return to Amherst. Dan has a photo gallery of Friday's new facilities dedication and comments on the new and improved press box. Matty Vautour talks to former UMass players about their favorite McGuirk experiences. He also has UMass players and fans glad to be back at McGuirk. Dan reports struggling Bowling Green on edge as they travel to McGuirk. UMass will be playing on a new surface at McGuirk; it's state of the art in artificial turf. abc40 says UMass preps for sold-out Homecoming game. The UMass Daily Collegian features Andrew Libby one year after tearing his ACL. Libby's UMass bio. Linemakers.com thinks the Falcons will beat the -5 spread. The MAC website has details of all today's conference games. Kentucky looks to break a 17 game SEC losing streak against Vanderbilt. Colorado State hasn't won a geme east of the Mississippi since 2002. Today they'll try against Boston College. UMass has its game notes for Saturday's Homecoming Game. 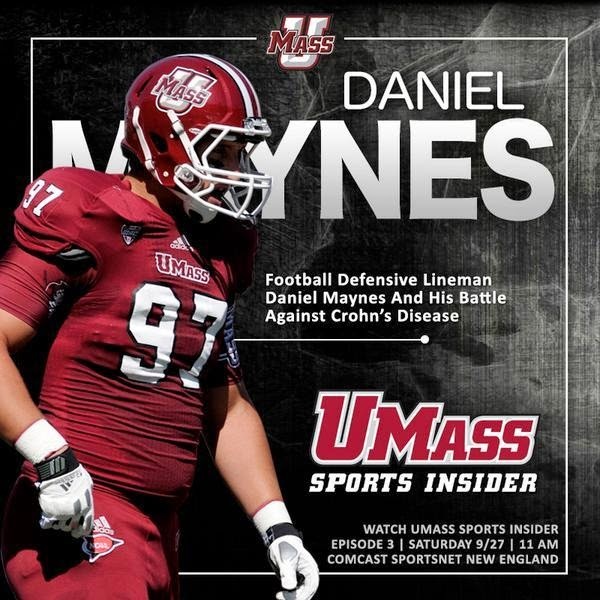 Daniel Maynes will be featured on this week's episode of UMass Insider at 11:00 AM on Comcast Sports New England. The Crohn's and Colitis Foundation of America. The Minuteman offensive line looks to bounce back after a poor showing against Penn State. Please read that link again and appreciate the difference from a few years ago when it have said "UMass offense line looks to improve after a poor showing against Central Connecticut." Bowling Green has been on the wrong side of two blowouts, but it's not their offense that's the problem. They ran an astounding 113 plays in their upset of Indiana. Matty Vautour says UMass hopes to exploit Bowling Green's defensive struggles. Amherst businesses welcome back UMass football. Max Moore of Hustle Belt says UMass finally comes home to McGuirk. The Toledo Blade says Bowling Green is wary of a rejuvenated UMass. Bowling Geen News says the Falcons are focused on conference play. The Sentinel-Tribune reports it's back to basics for Bowling Green. Victor Cruz went 6-107 yards in the Giants rout of the Redskins. Ron Chimelis says UMass urgently needs a win. Dan Malone comments on the nineteen games in future schedules announced today. Dan has his latest podcast with John Wagner of the Toledo Blade. Shadrach Abrokwah is eligible for the Bowling Green game. Abrokwah looked like the best of the running backs in the Spring Game. So far, Minutemen running backs have looked neither fast nor powerful. Hopefully, Abrokwah can add a dimension to the UMass offense that's been missing. Matthew Wylie's only kick of the season was monumentally ugly, but Whipple isn't giving up on him yet. Matty V. reports UMass announces a huge slate of future games. Matty also has Shadrach Abrokwah is excited to return to the field. The Desert News reports BYU signs a four game series with UMass. The Montgomery Adviser says Troy and UMass sign a home-and-home series. 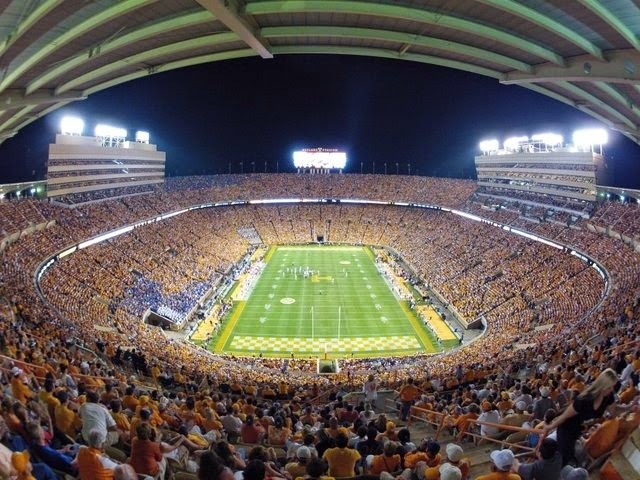 The Knox News says the Vols will pay UMass $1 million for a visit in 2017. Athens Ohio Today reports on the Ohio-UMass contract for 2017-2018. SB Nation's Mountain West Connection comments on the UMass-Hawaii home-and-home. 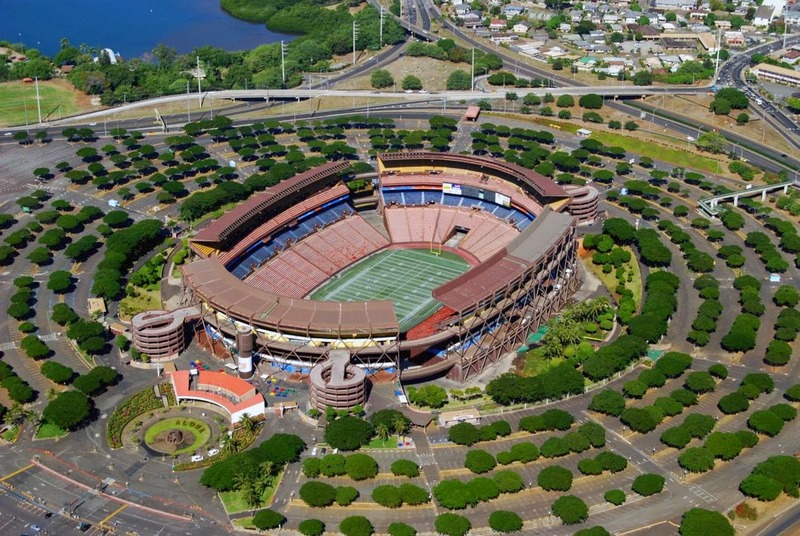 Hawaii's trip to Massachusetts will be the Rainbow Warriors longest road trip ever. GoBlueRidge.com reports the Appalachian State Mountaineers are happy to renew their rivalry with the Minutemen. Hustle Belt says the Minutemen finally return home. Brandon Fitzsimons of Hustle Belt picks Ball State over the Minutemen. The UMass Daily Collegian says despite all the distractions, the Minutemen have a game to play on Saturday. The Collegian reports Minutemen players are eager to play in front of their peers. Miami (Ohio) backs skunk safety. UMass says on its Twitter Feed it'll has an "important announcement" at Noon today about future scheduling. Coach Whipple is impressed with fill-in Bowling Green QB James Knape. His Bowling Green bio. Dan Malone reports the Minutemen are not looking to move Trey Dudley-Giles back to corner. Dan also has three players whose stock is up and three down after Penn State. Malone has his first MAC conference power poll. Matty Vautour says Jackson Porter remains upbeat despite struggles as a freshman starter. Porter's UMass bio. UMass will dedicate the new football facilities on Friday. Attention! Attention! Attenton! Keepers College Football ratings has UMass by 4.56 over the Falcons. Randy Carpender of Hustle Belt asks if Bowling Green, with FBS's statistically worst defense, can win the MAC. Sons of Old Massachusetts awards three helmet stickers for the Penn State game. Speaking of scheduling, NIU adds a home and home with Tulsa. 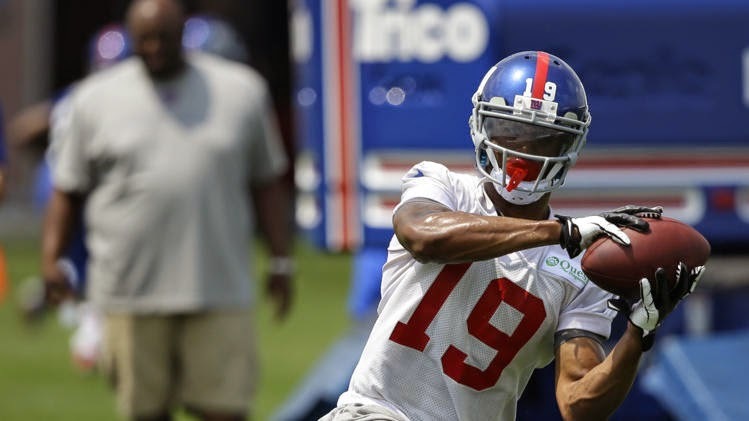 Victor Cruz got a win and relief against the Houston Texas. BC's coach Addazio implores the Eagles to get win #4. Penn State is a double digit favorite over Northwestern. Kentucky coach Mark Stoops thinks Vanderbilt has gotten better each week. One takeaway from the Penn State game is what a tremendous economic engine Nittany Lion football is for Pennsylvania. We were in a local grocery store the morning of the game and people were lined up buying sandwiches to go, grilling food, beer and every sort of tailgating stuff. And all were paying the PA sales tax. My room was nearly twice the cost of a non-football weekend room. When pundits carp about the cost of UMass football remind them of the secondary gains to the state. We're not Penn State, but we could aspire to be 30% of it. Every politician in Massachusetts talks about jobs and the state economy, but nobody wants to actually help the engine that pays all the costs of the University and the salaries of every professor and administrator. Penn State football is BIG business, and the state of PA gets 6% of all the action (or 8% with a local surcharge), and that's not counting gas tax, local and state tax on rooms and on and on. Matty Vautour comments on Penn State fever. You had to be there to appreciate it. UMass adds Tennessee, Army and BYU to future schedules. 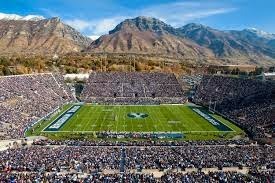 West Point is a great place to visit and Mrs Blog and I have spent a lot of time in Utah. Great trips to look forward to. Dan Malone looks at the UMass two-deep for Bowling Green. Cleveland.com reports that parity has descended on the MAC East as the conference schedule starts. Trey Dudley-Giles, CB and kick returner par excellence, is expected to be OK for the Bowling Green game. Whipple hopes the return to McGuirk will give the Minutemen a lift. Hustle Belt has little changed in its MAC power rankings. Dan Malone has a UMass football notebook with the return of Shardach Abrokwah and more. The Minutemen open as a 8.5 underdog to Bowling Green. Remember Bowling Green was the 2013 MAC league champion. The Daily Collegian reports on the hopes for a high energy atmosphere at McGuirk. Bowling Green has its game notes for UMass up. Coach Whipple's comments from the weekly MAC coaches teleconference. Good Morning from New Holand, PA. Right now I have a really bad Wi-Fi connection. We'll be here until Thursday, but if it continues to be this slow I don't know how much I'll be able to do on the blog. Dan Malone says missed opportunities abound in loss to Penn State. Video Coach Whipple and UMass QB Blake Frohnapfel talk about the Nittany Lion loss. Matty Vautour says UMass still confident with conference play on deck. UMass running back woes continue. Max Moore of Hustle Belt reports UMass looked back against Penn State. Wisconsin's Melvin Gordon gets a Heisman boost after his huge effort against Bowling Green. Hustle Belt's Randy Carpenter looks at Bowling Green's 14-68 loss to Wisconsin. Cleveland.com says defenses withered all over the MAC last Saturday. Despite the Minutemen's all-BCS schedule, so far UMass is in the middle of the MAC in most statistics. Field goals, punting and rushing yards are prominent exceptions. Well, the pundits said UMass would have to play a perfect game to hang with Penn State and we were far from perfect. After a good opening drive, new kicker Matthew Wylie unleashed a kick that looked like one of those fan promotional kicks. On a fourth and one, Tajae Sharpe was all by himself in the Penn State endzone and Frohnapfel didn't see him. We fumbled the ball deep in our own side. More disturbing, was the fact that UMass has -2 yards rushing late in the third quarter. Even if we had played better, we were outclassed by the Nittany Lions. If they get by Michigan State, they could go undefeated. The Minutemen played hard with some good hits. UMass played the defensive subs most of the fourth quarter. We all knew the four BCS games were going to be tough. The MAC league teams will be a fairer test of where we are. Keep the faith and Go UMass! The UMass website has stats, video and game quotes. Dan Malone reports Minutemen give up three straight TD's only rush for 3 yards. Dan says Whipple described the Minutemen as overawed. Matty Vautour says the Minutemen were outclassed. The Daily Collegian says UMass was blown out. The Victory Bell Rings reports Penn State rolled past UMass. The Sentinel says the Nittany Lion's running game quieted the critics. 48-7 was a bad result for UMass, but it was far from the worst performance by MAC teams yesterday. Remember when people ragged on the Minutemen for giving up 399 yards rushing against Wisconsin? Next week's opponent Bowling Green played the Badgers yesterday and gave up 644 rushing yards to to shatter a Big Ten record that stood since 1930. The MAC's best team NIU lost to Arkansas 14-52. All the MAC scores here. Vanderbilt put a scare into South Carolina before finally folding. Boston College beat Maine 40-10. Good Morning from State College! It was a tiring drive up from Virginia Beach; I-95 was busy between Richmond and Washington as was the Washington Beltway. Our motel gave us a plastic Penn State football and a window sticker with a large "409" and the slogan "history can't be erased". For $9.00 there's a shuttle bus to the game. Hope to see some UMass fans! Go UMass! Media links to watch or listen to the game. Matty Vautour says there'll be no margin for error against the Nittany Lions. Dan Malone says the Minutemen look to slow Christian Hackenberg down. The Boston Globe says UMass is ready for unbeaten Penn State. State College News previews UMass. Centre Daily Times says the aggressive Nittany Lion defense presents problems for UMass. The UMass Marching Band and the Penn State Band highlight the pregame activities. How Penn State's Anthony Zettel became a top DT. Game Day information for MAC Conference teams. Bowling Green visits Wisconsin and Eastern Michigan gets Michigan State. Jesse Allen of Hustle Belt previews the Minutemen-Nittany Lions game. Two Hustle Belt writers say take UMass and the points. Mrs Blog and I are leaving Virginia Beach and heading up to Happy Valley to see the UMass game. Hope to see a bunch of UMass fans there. The US Navy's Blue Angels are giving an air show this weekend in Virginia Beach. We've been watching them practice. UMass has its game notes and depth chart up. Dan Malone has a podcast with David Jones previewing the Penn State game. More video with Austin Whipple and Alex Kenney talking about being back in Happy Valley. 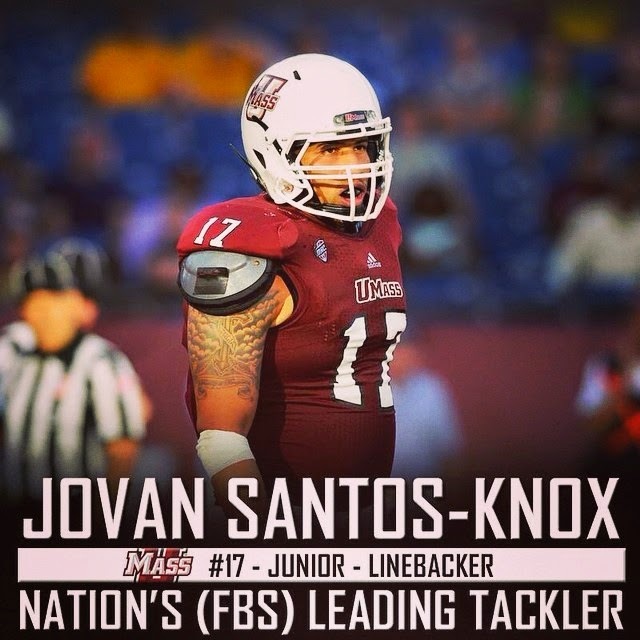 UMass lineacker Jovan Santos-Knox would like to get off the field more often. Matty Vautour reports Whipple believes UMass will be playing against a NFL #1 draft pick Saturday. The UMass Daily Collegian says UMass is in for a challenge against Penn State. The Lancaster OnLine says the Nittany Lions offensive line still invites scrutiny. The Patriot News says the Penn State O-line needs more than time. The Centre Daily Times looks at who has the advantage UMass or Penn State. iSportsWeb.com looks at things to watch for Penn State. The State College newspaper thinks it'll be all Penn State. Ydr.com says it'll be a rest time for Penn State. Ydr also has a feature on UMass long snapper Nick Berus. Hustle Belt looks at Saturday's MAC games and previews four including UMass-Penn State. Dan Malone says Trey Dudley-Giles continues to impress on special teams. Trey has gone 7-248 35.4 AVE 77 LONG. If he keeps up this pace, Trey will shatter Dennis Dent's 1978 single season average of 28.31. Alex Kenney and Austin Whipple return to Penn State. Matthew Wylie is ready to kick if called on. Matty Vautour says connections run deep between UMass and Penn State. He also reports on if Christian Hackenberg will join a list of UMass opposing players to star in the NFL. The UMass Daily Collegian says Minutemen kicking is still undecided. The Collegian says UMass is in for a challenge. Trey Dudley-Giles isn't the only UMass player doing well. Jovan Santos-Knox is leading the nation in tackles. Through 3 games he has 42 total tackles. A projected 186 TT over 12 games would blow away the UMass single season record of 140.5 bay Kole Ayi in 1998. Joe Colton's 34 tackles would place him third in Minutemen single season TT's. He'd be .5 TT behind Khari Samuel's 136.5 in 1998. FYI, Blake Frohnapfel, through three games has 117.8 EFF 619 yards and a 206.3 yards/game. Last year A.J. Doyle and Mike Wegzyn had EFF ratings of 99.1 and 94.6 respectively. Doyle averaged 115.8 yards per game and Wegzyn 60.3. The York Daily News says the Whipple family returns to Happy Valley. The TribLive.com reports the Whipples return to a place they call home. Max Moore of Hustle Belt has five questions with Penn State blog Black Shoe Diaries. The Penn State blog Victory Bell Rings says Penn State is looking to get their running game going against the Minutemen. The same blog has three Nittany Lion players to watch against UMass. The Centre Daily Times looks at Alex Kenney's return to Happy Valley. Ted Daisher is out as UMass' special teams coach. Lorenzo Woodley is out of Whipple's doghouse and ready to run against the Nittany Lions. Dan Malone reports Whipple said Daisher's dismissal had nothing to do with the Vanderbilt game. UMass fans who were not around during Whipple's previous stint with the Minutemen may not be aware that although Whipple has a kind of avuncular public persona, he does not put up with poor performance, either by players or coaches. Previously he has dismissed players and fired assistant coaches if the circumstances demanded. Matty Vautour has more on Woodley's pending start at Penn State. Penn State has their UMass game notes up. Penn State releases their two-deep for UMass. The Nittany Lions seek a group effort to protect their quarterback. Penn State CB Trevor Williams was Big Ten defensive player-of-the-week for his two INT's against Rutgers. Penn State looks for spark and consistency in special teams play. Former UMass assistant Bob Shoop has brought the Nittany Lion defense together. The Penn State Blog Black Shoe Diaries looks at the tale of the stats between Penn State and UMass. Keepers College Football ratings has Penn State over the Minutemen by 28.14. Rutgers' AD apologies for "classless behavior" against Penn State. Julian Talley has been activated to the NY Giants regular roster. Dan Malone has three players up and three players down from the Vanderbilt game. Jamal Wilson's injury may not be as bad as originally feared. Coach Whipple says Penn State QB Christian Hackenberg is the real deal. The above article is based on quotes from Whipple's weekly MAC teleconference. Dan looks at the depth chart for Penn State. Lornezo Woodley likely to start at RB. A decision is needed at kicker. I think Matthew Wylie will start as kicker. Lucas has gone 5 for 14 over 2013 and so far this year. Adding to the running back woes, Shadrack Aborkwah is not eligible for this week's game. Matty Vautour has more on Jamal Wilson's injury. Matty looks at how UMass' independent schedule is building. Note UConn at Gillette and only one FCS team. Jesse Allen of Hustle Belt reviews the Minutemen's loss to Vanderbilt. Byron Vance of Hustle Belt looks at the status of the MAC after week #3 and says Whipple can coach. The UMass Daily Collegian reports Ben Roethlisberger said Mark Whipple taught me how to be a pro. A Central Michigan RB has been charged with three felonies. isportsweb.com says Penn State is finding ways to win. The Penn State blog Black Shoes Diary says the Nittany Lions are officially back. The Patriot News looks at the Penn State O-line against the Minutemen front seven. The Victory Bell rings says the Nittany Lions are big favorites against UMass. Matty Vautour wonders if the recent Oh-my-God-that-was-close games will cause the Minutemen to improve or breakdown. Frohnapfel impresses me as a really mature guy. So does Randell Jette. I don't think any UMass player considers the team a finished project after only three games in Whipple's system. The players have to feel better about the team and its prospects after the results of the last three games. So I think the Minutemen will continue to improve. Last year UMass finished next-to-last in scoring offense; this year we're 88th through 3 games. UMass is 31st in total penalties---and that's a sign of good coaching. Trey Dudley-Giles has us 22nd in kickoff returns. Remember, we're doing this against BCS teams. 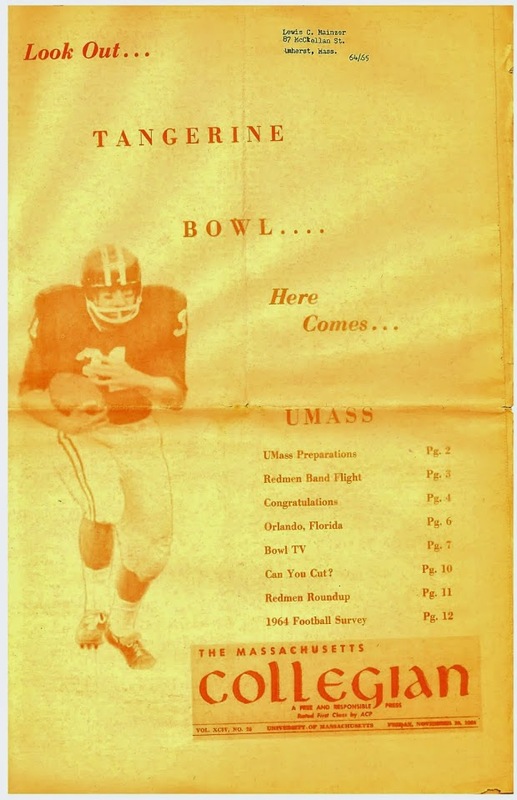 UMass has a new fan blog: Sons of Old Massachusetts. No mention of who's running it. Keeper's College Football rankings has UMass #121 in FBS. Las Vegas as UMass as a 29 point underdog to Penn State. Sporting News says UMass embarrassed Vanderbilt with a fake punt (with video). Deadspin says Vanderbilt's hugging Blake Lucas was just plain mean. Some Penn State fans plan to "Joe out" for the UMass game. StateCollege.com says the Nittany Lions players have a lot of heart. Hustle Belt still has UMass ranked low in its league power rankings. The poll is pretty screwy as Central Michigan, who got blown out by Syracuse, and Ball State, who lost to a FCS team, are still ranked highly. Joe Colton gets some praise in Hustle Belt's weekly feature on league players with good performances. Yesterday was quite a day. I listened to the game over a creaky Wi-Fi network and there was an apocalyptic thunderstorm here in Virginia Beach during the late second half. The Minutemen battled all day. I especially liked the UMass drive to Vanderbilt's four yard line with less than a minute to play. I think the Minutemen showed a lot of heart. Trey Dudley-Giles 74 yard return was electric. UMass had 20 first downs. Eight different players caught a pass for the Minutemen. We made some plays and we didn't make some plays. But remember we're doing this against BCS teams. Losing to Maine is crushing. Losing to Central Michigan 0-37 is crushing. This wasn't. Last week I said we didn't score 45 points last year until the 6th game. UMass only scored 140 points the whole year in 2013. This year we have 76 points in three games all against BCS teams. We'll get there. Let's give Penn State a hard time next week. Dan Malone says late game collapse dooms the Minutemen. Jamal Wilson suffered a broken leg in the game. Coach Whipple says UMass will look at the kicking situation this week in practice. After Blake Lucas missed a 22 yard field goal to send the game into overtime, Whipple will take another look at FR Matthew Wylie. Dan says inconsistent play from the Minutemen's leaders led their downfall. Video interviews with Whipple and Frohnapfel after the game. Matty Vautour has missed opportunities doomed the Minutemen. Matty has more on Jamal Wilson's injury. Matty also reports Ryan Johnson, Zeke Edmonds and Lucas Kolter all played. We've been hearing good things about Johnson and Edmonds, but Kolter must have been doing well to make the travel squad. Vanderbilt Blog Anchor of Gold comments on the game. The MAC had a good win yesterday as Bowling Green beat Indiana, but a couple of bad losses too. Colorado lost to Arizona State. I think all UMass fans are excited the changes Coach Whipple has brought to UMass. It would be really great if the Minutemen would upset Vanderbilt today. The Commodores are still a SEC team with loads of three and four star players. They turned the ball over seven times against Temple and Ole Miss was just a juggernaut. Lets hope UMass plays well and we'll see how the chips fall. If we don't win, we still know how much the Minutemen improved in the last six months. A kind blog reader alerted me to a story in the Globe about Jean Sifrin. Dan Malone says today's matchup is a meeting of hungry, but winless teams. Matty Vautour reports Vanderbilt will try to correct their QB woes against the Minutemen. The Vanderbilt Bog Anchor of Gold has game predictions from the Commodore side. The Daily News Journal tries to explain why Vanderbilt is still a 17 point favorite over UMass. The Boston Herald says the Minutemen are starting to believe. The State reports Vanderbilt continues to search for a quarterback. Cincinnati beat Toledo and Baylor beat Buffalo in Friday night football. The MAC website has details. Both games were actually closer than I expected. Hustle Belt has a story on the Bulls-Baylor game. New Toledo QB Logan Woodside had a very good game against Cincinnati. An SB Nation has Colorado beating the spread against Arizona State. The New York Times reports things are still riled up at Penn State. Matty Vautour says both UMass and Vanderbilt are desperate for a win. I missed Matty's tattoo Tuesday. UMass and Old Dominion will play in 2016 and 2017. Dan Malone reports on the new banners at McGuirk Stadium. Dan also has a post on playing Old Dominion. Blake Frohnapfel talks about better third down production. Anchor of Gold talks with three UMass blogs (including this one). 247Sports says Vanderbilt could right the ship this week against UMass. Jesse Allen of Hustle Belt previews the Minutemen vs the Commodores. Two MAC games tonight. Baylor at Buffalo and Toledo at Cincinnati. The Bulls lost to Baylor 70-13 last year and that's when they had Khalil Mack. That game could be ugly. Toledo lost their starting QB last week. We'll see how much their play is affected. The MAC conference's website spotlights UMass LB Stanley Andre. Colorado faces a big challenge against ASU Saturday. USC is a 17 point favorite over BC. UMass opened +17, but the odds have dropped to +16 or +15 1/2.